Where’s Wallis? 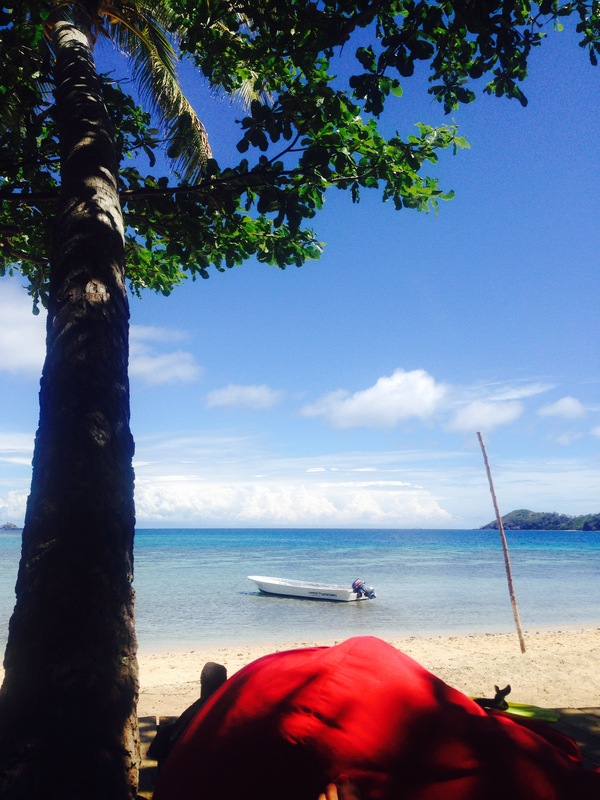 Beachcomber Island, Mantaray Resort and Nadi, Fiji – Where's Wallis? Fiji is the happiest country in the world. Both statistically, ranking top in a recent survey, and in my (far too brief) experience. At first I thought that perhaps the happiness was slightly affected for the benefit of tourists, but I’d see the Fijian’s laughing and joking around constantly. At both hostels I stayed in the staff kept themselves busy in the quieter times by chucking buckets of water over each other to celebrate New Years, even throwing each other into the sea when a bucket didn’t suffice. A great example of the Fijian energy being when I was in the taxi to Nadi airport to fly to New Zealand. There was a giant thunderstorm (which delayed all the flights!) and as we drove into the airport there was a man tasked with directing you to either parking or departures. In the UK, and most other countries, if it was raining this would be a depressed looking soul, making the minimal arm movement possible to point you in the right direction. Our man did what can only be described as an MJ-esque move…moonwalking backwards across the gravel and then flinging his arms in the direction we should be heading! Now, I believe that when I last left you I was just leaving Las Vegas with Alec. We had a less than ideal drive back to LA: heavy traffic, the sun slowly getting lower in the sky (and thus more blinding) and me attempting to follow Alec in case of any issues with his newly repaired car. It took about 6 hours in the end, although this was made a little shorter by the use of a toll road coming into LA. I’d done pretty well at following Alec but finally lost him about 20 miles from home, so I relied on Mrs. SatNav (who I’d switched from American to English as she kept insisting I took a particular “rowte” instead of a “route) to get me back. She took me onto a toll road, which had dozens of signs making it very clear that it was “FastTrak only” “NO CASH” 😳😳 helpfully these signs only appeared after I was on the toll. I spent the drive in fear, envisaging arriving at unmanned barriers at the other end, unable to go through or reverse due to the now angry Americans queued behind me. I even contemplated a dangerous high speed maneuver through the staggered posts that separated the toll from the main freeway, but decided this was too extreme. Alec and I were both pretty pooped by the time we got home, so I drove out to the Newport Beach Wholefoods (best shop EVER) and got us some dinner supplies. I made a marmite marinated chicken dish, which was surprisingly tasty if I say so myself before an early night. My final day in the states Alec and I went for a little cycle around Newport Beach and then I drove back to Venice to spend the last night in my little AirBnB trailer. There was yet another beautiful sunset (I think they have one every single night!) and I went to my trusty favorite the Venice ale house for dinner. I mean who can turn down an invitation like that? It turned out that the monkeys are a Venice beach volleyball club who have been going nearly 20 years and meet every Sunday to play for a few hours and then head to the pub. They were fantastic, such a diverse group of really interesting and welcoming people! They also liked a few drinks which worked well for me and I ended up spending the evening with them, first at Venice Ale House and then at Rose Wines (near the Rose Cafe brunch spot I mentioned before) up on Rose Ave.
I’m just devastated I didn’t meet the Monkeys earlier. I was relieved to drop the rental car off at LAX in one piece, and to finally be free of scary American driving. My flight left LA at 9pm, and after a couple of benadryls (just antihistamines) and a glass of wine I conked out for almost the entire flight to Fiji, waking only very briefly to devour my breakfast. I arrived in Nadi (pronounced “Nandy”) Fiji at 5am on the 7th Jan, having lost a day crossing the date line overnight. I’d been assured by Beachcomber resort that I could pop into their offices in the airport on arrival and they’d help me with the transfer to the island. I located the office and it was firmly shut. Lights off, no-one home. So I sat and waited outside as all the other passengers from the flight were paired with their respective resorts and set off into the dawn. I felt a bit like the child that wasn’t picked for a team. Eventually about 7.30am someone arrived, and I learnt that I would be getting a boat around 8.30. This gradually got pushed back onto “Fiji time” and we ended up getting a shuttle bus about 8.30 which went via Anchorage resort (a sister to Beachcomber) where we got a boat that took us back to Port Denarue (the main harbour near Nadi) and then finally onto Beachcomber where we arrived about 11am. I’d been fearful of the 100 bed dorm I’d read about online but it was actually totally bearable. The dorm was divided into male and female sections and there only ended up being about 4 other girls in the dorm on the first night. There was a lovely girl called Denise who grew up in Germany but had spent the last 6 years living in Auckland who ended up having the same itinerary as me to Beachcomber then Mantaray. I’d heard that the two resorts were very different, and in hindsight I really wish that I’d spent all 4 nights in Mantaray, but I had no way of knowing that when I booked. I tried to politely decline and say we might come in a bit but that was met by: “you don’t want to dance? I then, perhaps slightly more tersely said that if they were having so much fun dancing that was excellent and I’m sure they’d continue to have fun without us. During the day the island was total paradise, so small it only took 10 minutes to walk around, crystal blue water, beaming sun, and a fantastic snorkeling trip out to the coral reefs. I wished so much that I still had the go-pro to record the amazing underwater activity! Snorkel rental was free for guests at beachcomber, but hilariously they only had 1 mask and about 100 fins. The best activity we did whilst on beachcomber was a self-inflicted almost 3km swim between beachcomber island and the neighboring treasure island. It was suggested by Oscar who was one of a pair of Dutch guys that had been on a Fiji experience tour with Denise prior to beachcomber. Bart (Oscar’s friend) nobly opted out of the swim and offered to take the resort’s kayak, something they strongly recommended we do so that bigger (faster, potentially deadly) boats could spot us in the water. Another Dutch guy called “Brad” also took on lifeguard duties with Bart. His real name was Ewoud but Brad was his lifeguard name. The swim over to treasure island was quite casual as the current was carrying us. The guys in the kayak didn’t even have to really paddle. I was quite scared of the shark reef that lay halfway between the islands. There was no sign of sharks but there were lots of little stingers in the sea. Some people said that they were “sea nettles”, some said “sea lice” – I prefer the image of nettles! We had a brief play on the broken sea-trampoline when we got to treasure island and then commenced the slog back to beachcomber. It was SO hard, the current was going completely against us and there were decent sized waves the whole way. We’d swum for about quarter of an hour and beachcomber still didn’t appear any closer. When we finally made it back we had a massive sense of achievement. And sunburn. There was a fire-dancing display and the staff did some traditional Fijian dances. One of the guys behind the bar was very camp, and he emerged during the show in a coconut bra and hula style skirt! I found out that when you are given a flower to wear in your hair, the side you wear it depends on your relationship status. If you are single it should be worn behind your left ear, if you are taken it should be behind the right. After beachcomber I got the ‘Yasawa Flyer’ boat for the couple of hours up to Mantaray resort. It was so expensive! 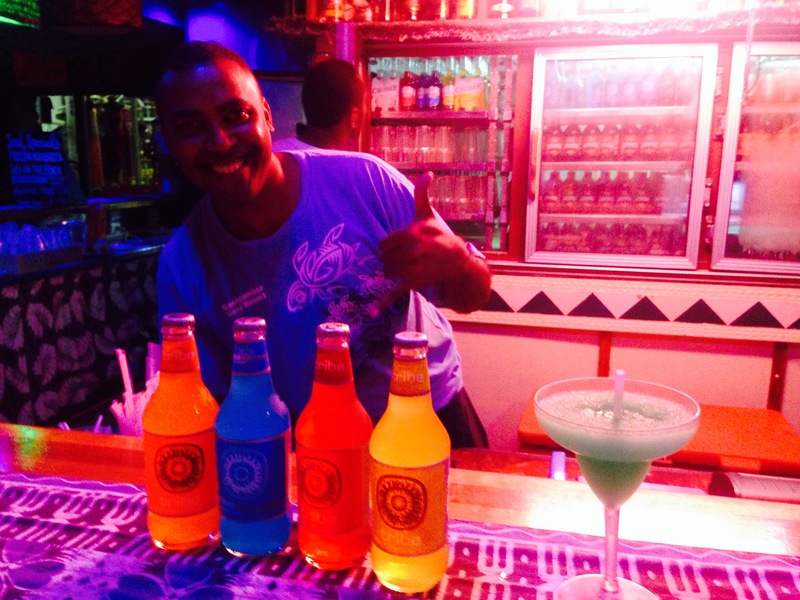 About £100 for the tickets from Beachcomber – Mantaray, and then from Mantaray back to Nadi. I’d withdrawn $300 Fijian when I’d arrived which I thought would see me through my stay since I’d already paid for accommodation and meal plans, but it only just covered the boat tickets! Mantaray wasn’t as visually impressive as beachcomber initially, it had a far smaller beach, not such white sand. But that was completely made up for by the amazing relaxed atmosphere, delicious food, and the great decked seating area in the shade of the trees with beanbags overlooking the ocean. And the snorkling….it was incredible!! I saw such beautiful fish even just a couple of meters from the shore! Denise and I had a quick snorkel with an Aussie guy called Scotty who’d arrived at the same time as us. Because the tide was going out we could only snorkel for about 15 minutes or so before it was too low and there was a risk of us damaging the corals with our flippers. We had a very chilled afternoon and evening, playing a few card games on the decking after dinner. The dorms at Mantaray were worse than beachcomber though, just far hotter as the beachcomber dorms had no real walls so the wind blew through at night. In spite of this I slept well and woke early the next day for another snorkel. This time we saw a ray (sadly not a Mantaray though 😔 the season was over with the last one seen on Christmas Day), amazing multicolored fish, an octopus who was camouflaged on a rock then turned deep purple to swim and then back to stone coloured again to settle on another rock. After lunch Denise (who amusingly all the Fijians pronounced Dennis) and I went for a guided kayak. Now, you may recall my Lake Nicaragua blog where I concluded that kayaking was too much hard work. I hadn’t forgotten this, so when Denise and Hannah were debating kayaking I said “guys not a huge fan of kayaking, I’m going to bow out”. For me to turn down an activity my dislike has to be reasonably severe. Yet somehow, foolishly, when one of the staff came around saying they would do a guided kayak, which would be very easy and quick, and I saw Dennis was so keen to do it, I agreed. Mistake. I am ashamed to say I reverted to almost a childlike tantrum when we’d been kayaking for 30 minutes, it was boiling hot, I genuinely felt seasick from being buffeted by the waves. The last straw was when our guide, Solo, asked us to follow him and kayaked really close to the shore over some rocks. Eventually, when I kept asking when we’d be going back, Solo basically sent me home across the channel. A relief for all parties I think. I think I’ve finally learnt my lesson and won’t be kayaking for a while. To recover I had a few hours of reading on a beanbag heap on the deck. Once I felt strong enough I enquired whether the bar was able to make coco-locos (the fresh coconuts with a cheeky bit of rum). Thirst quenched, dinner eaten, it was time for the evening games. The staff at Mantaray always organise a couple of post dinner games and this night was crab racing!! I paired up with Adam, a Welsh guy now living in NZ to make the crab dream team. We chose a little crab numbered him 22, and christened him Elvis to complete the family. Sadly Elvis didn’t live up to his potential and lost out in the first round to bigger, stronger crabs. Adam released him back to the beach. The next game we played was a cross between musical chairs and an exercise class. It was called “Princess”. We’d dance with our partner and when the music was stopped either “King” , “Queen”, “Princess” or “Castle” and each of these required us to leap onto each other’s backs/into each other’s arms. It was hilarious and totally exhausting. The next day I had to get the Yasawa flyer back to Nadi as I was staying there to catch my early flight the following morning. I was really quite sad to say goodbye to everyone on Mantaray. 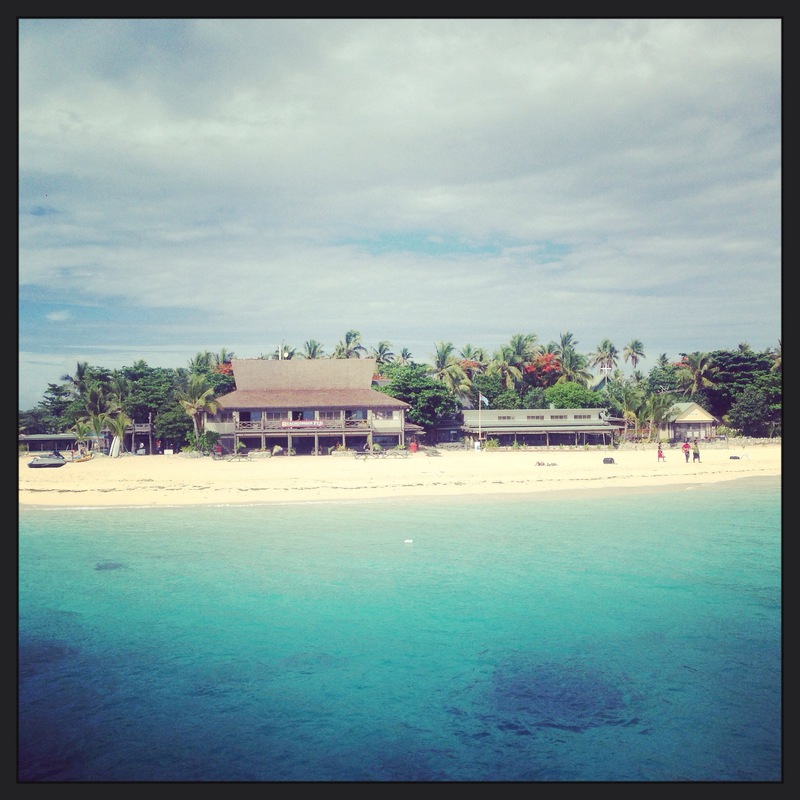 I stayed in the ‘girls sanctuary dorm’ at Smugglers Cove in Nadi. It was actually very good (for a dorm), 8 beds, no bunks, aircon, 2 en suite bathrooms. There was a fire dancing show that evening out by the pool but this was halted by heavy rain starting. I woke the next morning to huge flashes of lightning and claps of thunder. This didn’t bode well for the flight. They had a love board of flights at the reception of the hostel and I’d freaked out when I’d arrived as the 9.45am to Auckland that I was expecting to see wasn’t on there, only a midday one. I sorted back through my emails and found an updated itinerary saying that mine had been moved to midday, I think because air pacific had been bought by Fiji airways. I was in the dorm at 9am just getting ready to head to the airport when I mentioned about the flight to 2 girls in the room. They said that they both had a flight to Auckland at 9.45am, one on the Tues and one on the Wed. I fully freaked out at this point thinking I’d somehow mixed it up and now only had 45mins until it left! But I checked the itinerary again and it was definitely midday so off I popped. EVERYTHING was delayed at the airport anyway due to the storm, so it’s a good thing it was later in the day. Whilst waiting I met a lovely girl called Fiona from London who was staying in the same place as me in Auckland. A few hours later we were off, to my penultimate destination New Zealand. I definitely want to go back and explore more of the mainland and the islands, perhaps even do my diving course at Mantaray. It was only £160 for the course, which is even cheaper than the courses in Utila in Honduras! Pingback: Where’s Wallis? Jervis Bay, Australia | Where's Wallis?